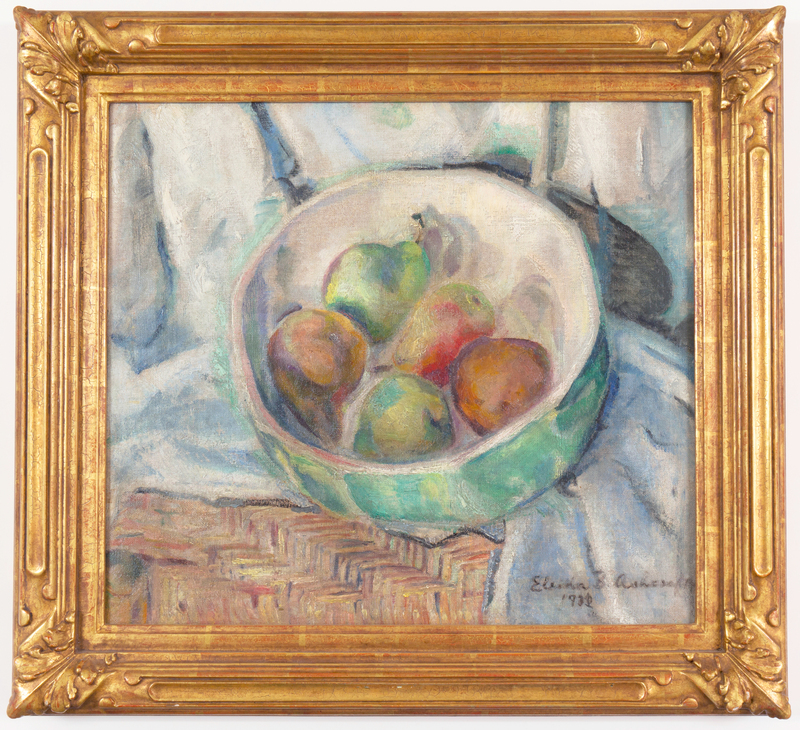 Signed Lower Right "Eleida B. Ashcraft"
A delicate oil still-life showing a variety of pears in a ceramic bowl standing on a draped wicker-table. A lyrical work by this rare Philadelphia Post-Impressionist. Displayed in a substantial, hand-carved and water-gilded frame by Richard Tobey & Son.